I Would like to watch The exciting eight part BBC historical epic Troy: Fall of a City. It is based on the Trojan War and the love affair between Paris and Helen. The series is a co-production between BBC One and Netflix. It stars Louis Hunter as Paris, Bella Dayne as Helen of Troy, David Threlfall as Priam, Frances O’Connor as Hecuba, Tom Weston-Jones as Hector, Joseph Mawle as Odysseus, Chloe Pirrie as Andromache, Johnny Harris as Agamemnon, David Gyasi as Achilles, Jonas Armstrong as Menelaus, Alfred Enoch as Aeneas, Aimee-Ffion Edwards as Cassandra, Hakeem Kae-Kazim as Zeus, David Avery as Xanthius, Lex King as Aphrodite’ Amy Louise Wilson as Briseis, Inge Beckmann as Hera. It takes place during The Trojan Wars which were waged against the city of Troy by the Achaeans (Greeks). The war originated from a quarrel between the goddesses Hera, Athena, and Aphrodite, after Eris, the goddess of strife and discord, gave them a golden apple, sometimes known as the Apple of Discord, marked “for the fairest”. Zeus sent the goddesses to Paris, who judged that Aphrodite, as the “fairest”, should receive the apple. In exchange, Aphrodite made Helen, the most beautiful of all women and wife of Menelaus, fall in love with Paris so Paris of Troy took Helen from her husband Menelaus, king of Sparta back to Troy. This angered Agamemnon, king of Mycenae and the brother of Helen’s husbandr Menelaus, who led an expedition of Achaean troops to Troy and besieged the city for ten years because of Paris’ insult. The story of Helen of Troy is told from the perspective of the Trojan family at the heart of the events. The ten year long siege eventually claimed the lives of thousands including Achaeans Achilles and Ajax, and the Trojans Hector and Paris. The city eventually fell thanks to a cunning ruse involving a horse and The Achaeans slaughtered the Trojans (except for some of the women and children whom they kept or sold as slaves) and desecrated the temples, thus earning the gods’ wrath. Consequently Few of the Achaeans returned safely to their homes and many founded colonies in distant shores. Whether there is any historical reality behind the Trojan War remains an open question. Many scholars believe that there is a historical core to the tale, and the Homeric stories may be a fusion of various tales of sieges and expeditions by Mycenaean Greeks during the Bronze Age. The Trojan War may also be derived from a specific historical conflict during the 12th or 11th centuries BC. The Greek mathematician, geographer, poet, astronomer, and music theorist. Eratosthenes of Cyrene, mentions the date 1194–1184 BC. English Author Ruth Barbara Rendell, Baroness Rendell of Babergh, CBE Was born Ruth Barbara Grasemann on 17 February 1930, in South Woodford, London. She was educated at the County High School for Girls in Loughton, Essex. After high school she became a feature writer for her local paper, the Chigwell Times. Even at an early age, making up stories was irresistible to Rendell. As a reporter, she visited a house that was rumoured to be haunted and invented the ghost of an old woman. The owners threatened to sue the newspaper for devaluing their home. Later, she reported on the local tennis club’s annual dinner without attending, so missing the untimely death of the after-dinner speaker in mid-speech. She resigned before she could be fired. Rendell met her husband, Don Rendell when she was working as a newswriter. They married when she was 20, and had a son, Simon, now a psychiatric social worker who lives in Colorado. The couple divorced in 1975, but remarried two years later. Rendell is known best for writing gripping Psychological Murder Mysteries and her best Known creation, Chief Inspector Wexford, is the hero of many popular police stories. Rendell started her career when she wrote two unpublished novels before finally striking lucky with the 1964 publication of From Doon With Death, which was the first mystery to feature her enduring and popular detective Chief Inspector Reginald Wexford, who is featured in From Doon with Death, a New Lease of Death, Murder being once done, Put on by Cunning, an Unkindness of Ravens, Road Rage, Adam &Eve & Pinch Me and The Monster in the Box. some of her novels have also been adapted for TV. Rendell also writes crime-fiction that explores the psychological background of criminals and their victims, many of them mentally afflicted or otherwise socially isolated. In addition to these police procedurals starring Wexford, Rendell has written psychological crime novels exploring such themes as romantic obsession, misperceived communication, the impact of chance and coincidence, and the humanity of the criminals involved. Among such books are A Judgement In Stone, The Face of Trespass, Live Flesh, Talking to Strange Men, The Killing Doll, Going Wrongand Adam and Eve and Pinch Me. Many credit her and close friend P. D. James for upgrading the entire genre of whodunit, shaping it more into a whydunit. Rendell’s protagonists are often socially isolated, suffer from mental illness, and/or are otherwise disadvantaged; she explores the adverse impacts of their circumstances on these characters as well as on their victims. Rendell also began writing under her pseudonym Barbara Vine, (the name derives from her own middle name and her grandmother’s maiden name), with the publication of A Dark-Adapted Eye, King Solomon’s Carpet, A Fatal Inversion and Asta’s Book (alternative US title, Anna’s Book), among others, these are similar to her psychological crime novels while further developing themes of human misunderstandings and the unintended consequences of family secrets and hidden crimes. The author is noted for her elegant prose and sharp insights into the human mind, as well as her cogent plots and characters. Rendell injected the social changes of the last 40 years into her work, bringing awareness to such issues as domestic violence and the change in the status of women. 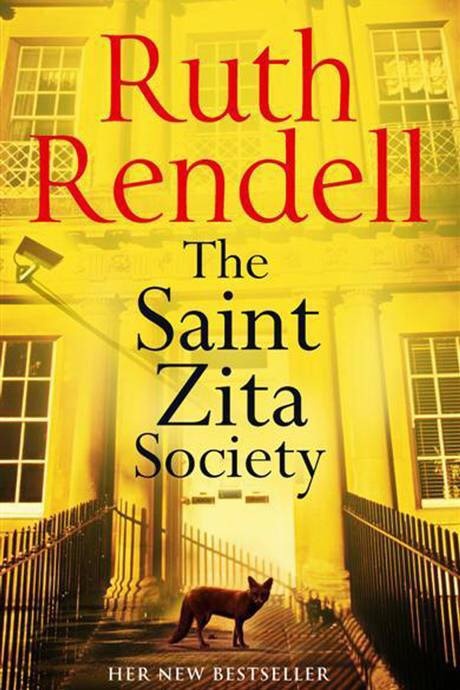 Lady Rendell has received many awards, including the Silver, Gold, and Cartier Diamond Daggers from the Crime Writers’ Association, three Edgars from the Mystery Writers of America, The Arts Council National Book Awards, and The Sunday Times Literary Award. A number of her works have been adapted for film or television. She is also a Patron of the charity Kids for Kids, helping children in rural areas of Darfur. she was made a CBE in 1996 and a life peer as Baroness Rendell of Babergh, of Aldeburgh in the County of Suffolk, in 1997. She sits in the House of Lords for Labour. In 1998 Rendell was named in a list of the biggest private financial donors to the Labour Party.